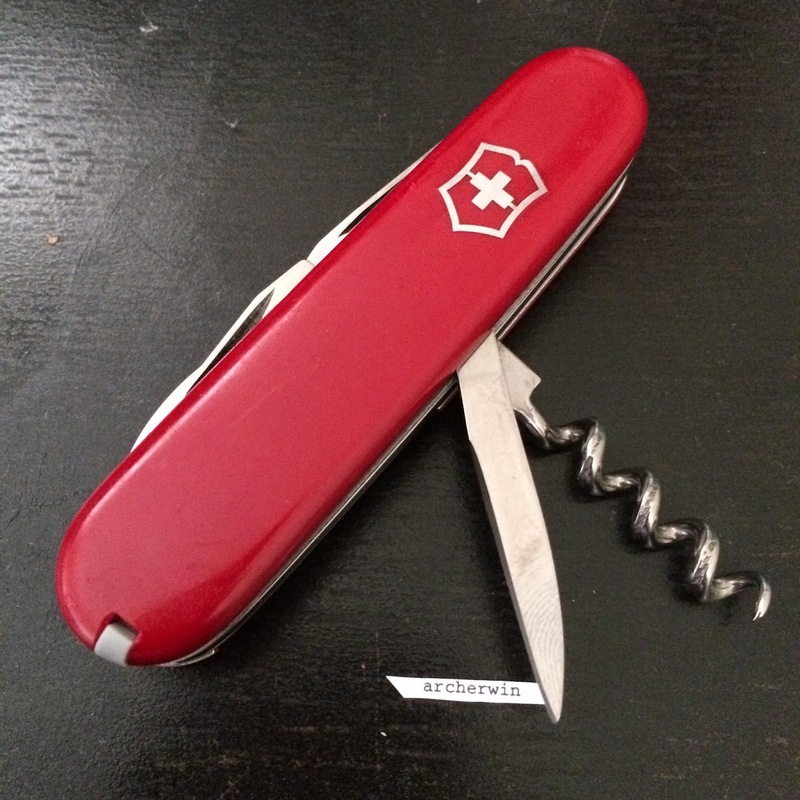 Little is known about the Victorinox Alumnus apart from it is a rare 84mm model and highly collectible. 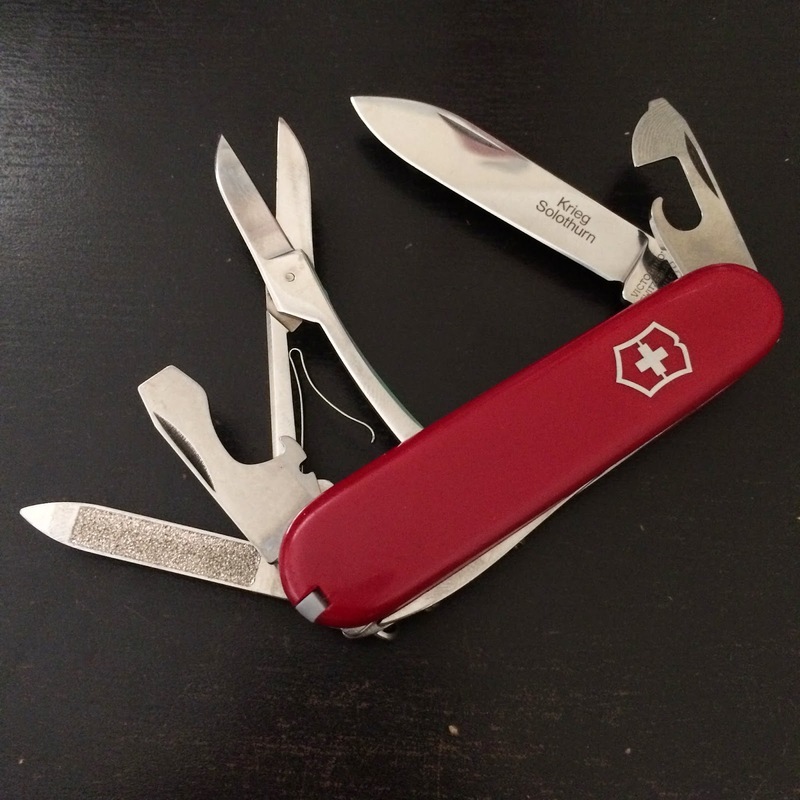 It is a three layer 84mm which has the same tool set as the 84mm Climber but it replaced the small blade with a nail file. 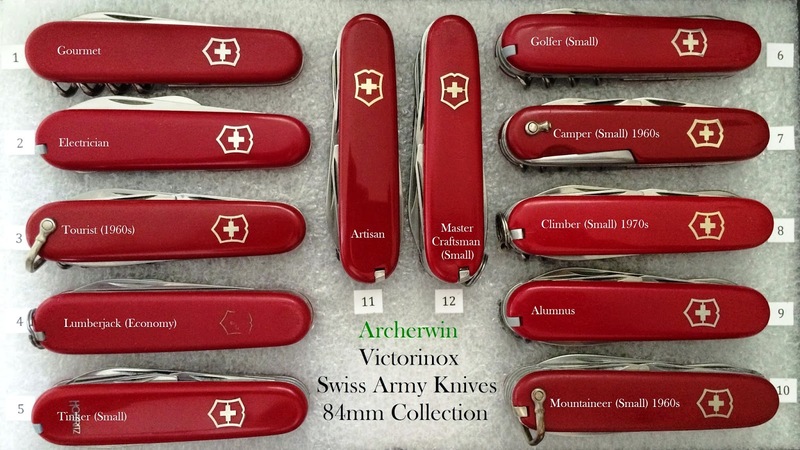 According to sakwiki.com, the name itself is not officially verified to be Victorinox-assigned. The catalogs I have (which are also available in sakwiki.com and other web sites) doesn't show the Alumnus as part of their product offering. 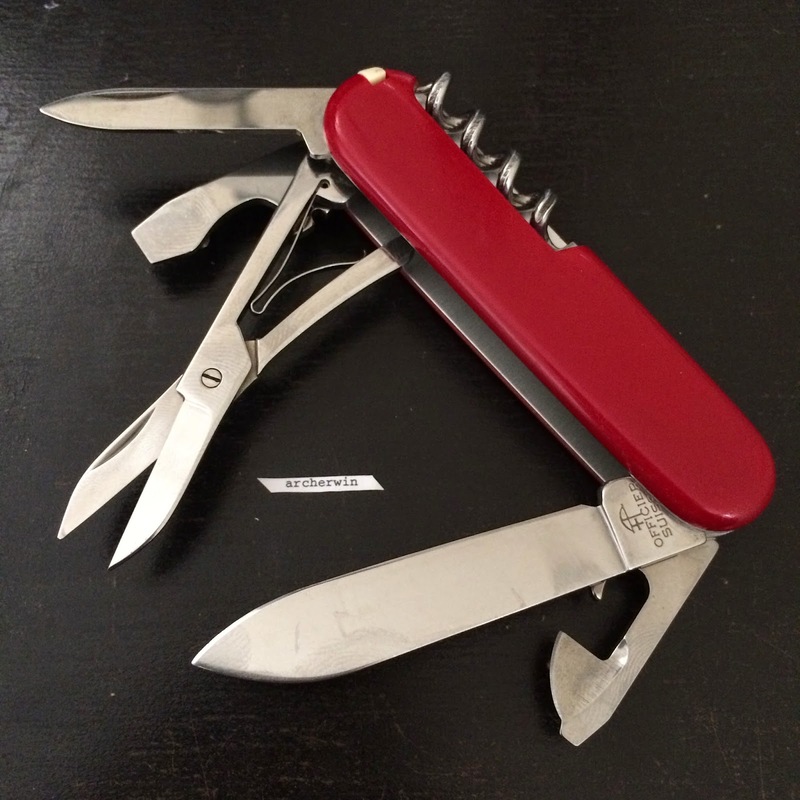 We can pin the date to the 1980s, specifically before 1985 due to the solid awl without the sewing eye. 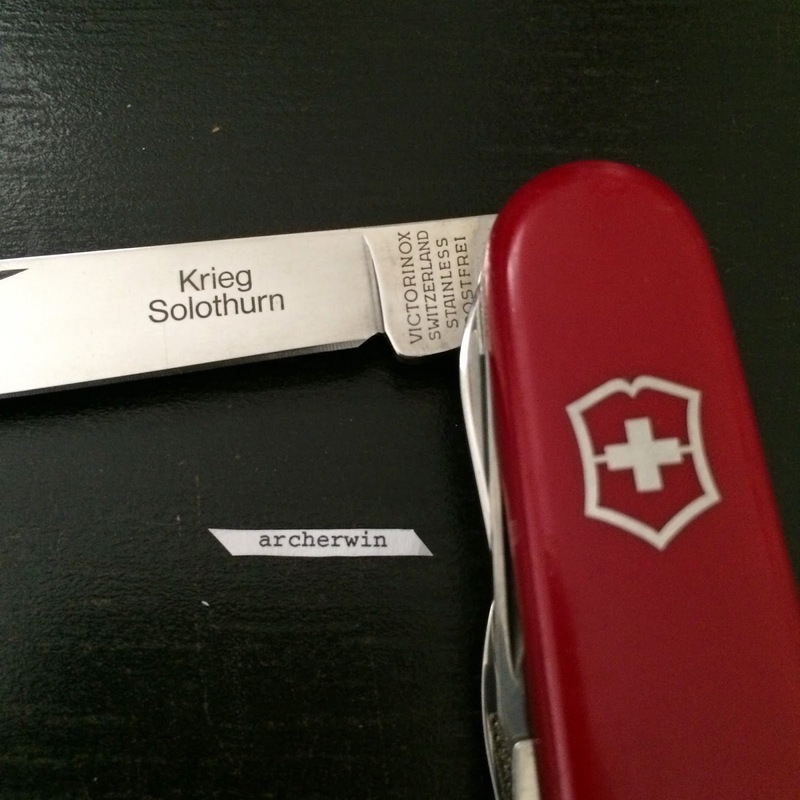 The knife in my collection has an engraving in the main blade which reads "Krieg Solothurn". Krieg is the German word for war and Solothurn is a capital city of the Canton of Solothurn in Switzerland. My 84mm collection as of 31 January 2015.